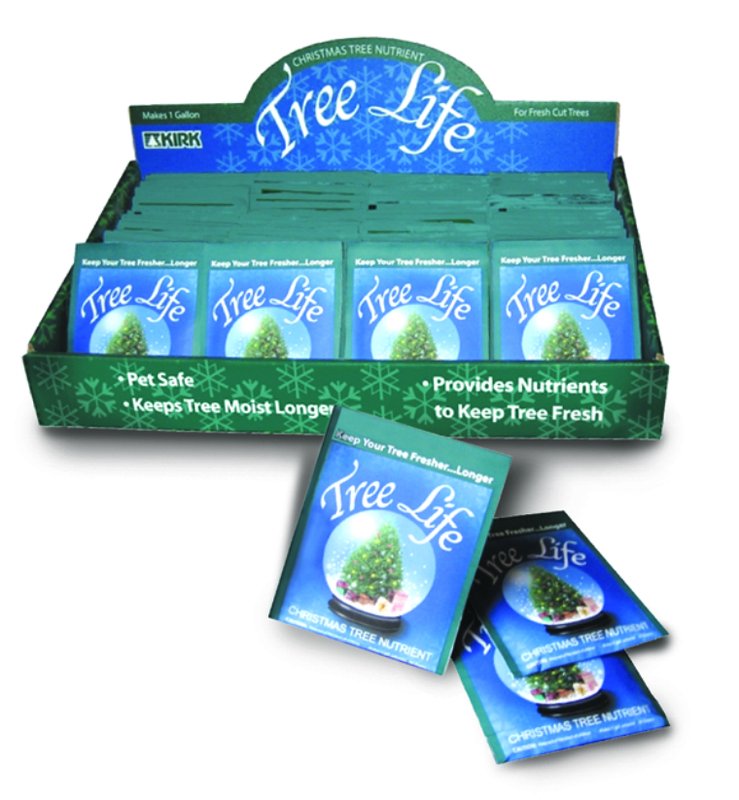 Tree Life Nutrient. Scientifically formulated to prolong the life of Christmas trees and cut greenery. Non-toxic and pet safe. Each packet makes 1 gallon. 100 packets per display case, 70¢ each.